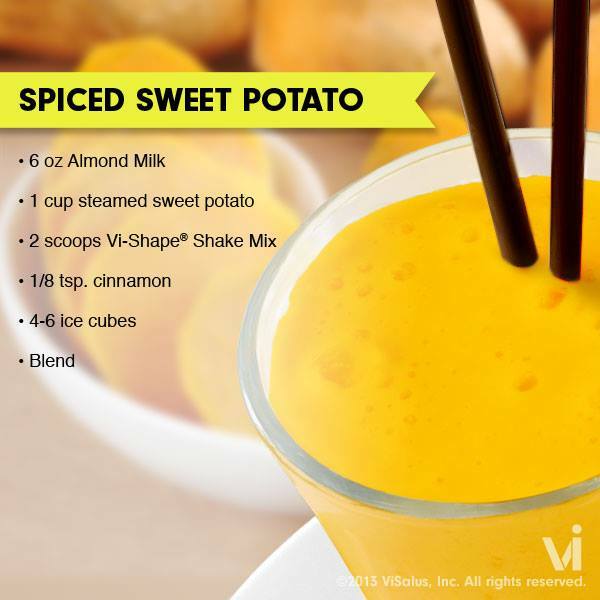 Sweet potatoes can be a nutritious addition to your Vi-Shake! COMMENT below if you tried the ViSalus spiced sweet potato shake recipe of the Week. P.S. Vi-Shape is the foundation of every Body by Vi Challenge Kit thanks to an unbeatable combination of great nutrition and great taste. Click here to place your order of Vi-Shape Shake Mix today! I tried this with water instead of milk and some frozen diced sweet potatoes…..it was yummy!